 Iran, Jan. 14, 2019 - Latest report from Resistance Units, a network associated to the Iranian opposition People's Mojahedin Organization of Iran (PMOI/MEK) inside the country. Members of Resistance Unit 923 in Tehran set fire to an image of Iranian regime Supreme Leader Ali Khamenei on a pedestrian bridge over the Afsarieh highway. Massoud Rajavi is the Iranian Resistance leader and resistance units across the country are celebrating the 40th anniversary of his release from the prisons of the former shah dictatorship ruling Iran on January 20, 1979.